How Soft Do You Like Your Light? These are medium-base dome-shaped LED light bulbs, and in standard English that’s a light-bulb-shaped LED light bulb with a standard light-bulb screw-in bottom. These draw a stingy 15.5 watts but throw the equivalent of a 100W bulb. Instant-on and dimmable with a 25,000-hour life expectancy, and also suitable for damp conditions. Your only job is to pick 3000K soft white, 4000K cool white, or 5000K daylight. UL. Is mighty bright, actually, and warm white. 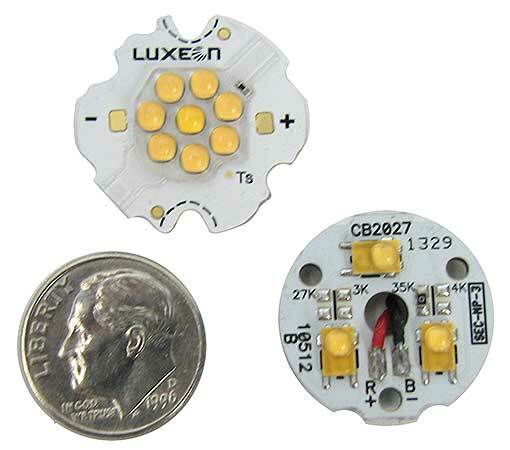 Our COB LEDs are 5/8" dia, mounted on PC boards that measure approx 1-1/8" x 3/4". 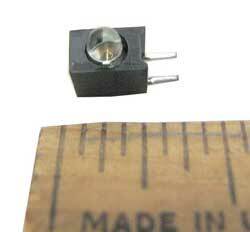 Nominally rated at 32VDC up to 1A, with heat-sink backings. 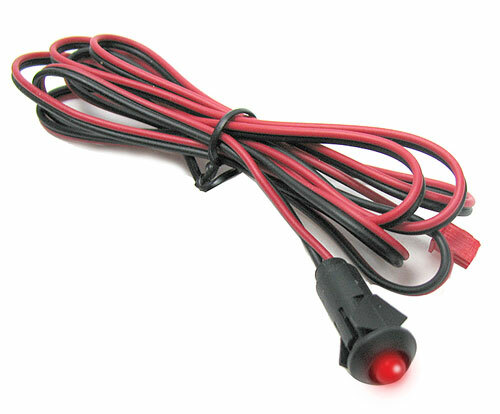 Best with a constant current supply, which will draw 170mA or use a current limiting resistor and a heat sink. 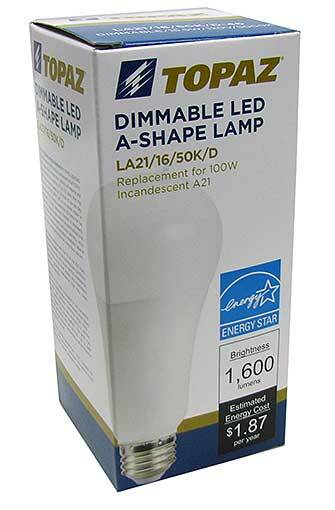 These candelabra-base bulbs draw only 2W but put out the equivalent of a 25W incandescent. 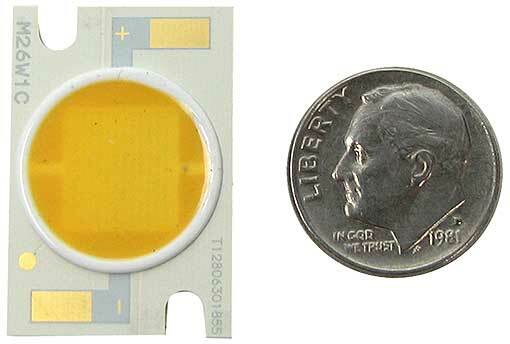 Will cast a 2700K, yellow-white color at 170 lumens. 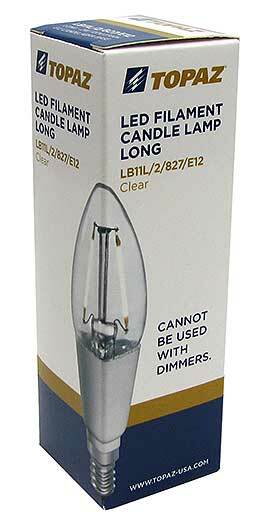 In a candle-flame shape, blunt top, 3-1/4” tall and not dimmable. Manufacturer says they’ll last 10 times longer than incandescents, which means nine fewer times you’ll stand on the dining room table to change them. Genesis, the 21st century version. We’re kind of not kidding because this is the guts of a super-intense warm white COB LED light fixture that is so bright it could stand in for the sun. Sorry, we got carried away. Let’s just say it’s insanely bright. Sun-like. Measures 3-3/8” dia with (12) 32VDC COB LED lights, clear or diffused cover lenses (our choice) which may need to be reglued and (4) mounting holes. You add the wiring and a cover. 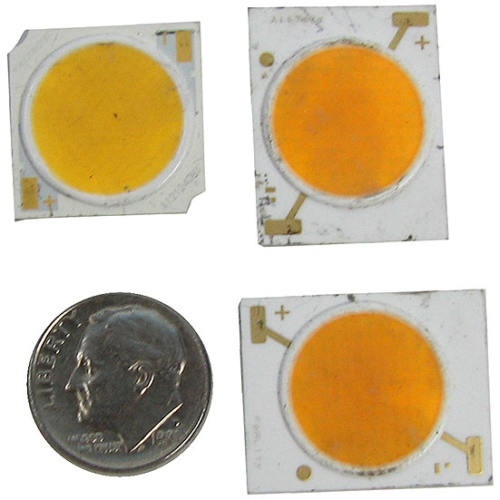 A single LED normally sells for $1.50 each. Do the math. Please mount on a proper heat sink, or your new lamp will go out in a blaze of glory. We recommend a dedicated LED driver or a power supply with a 500mA max output. You decide. 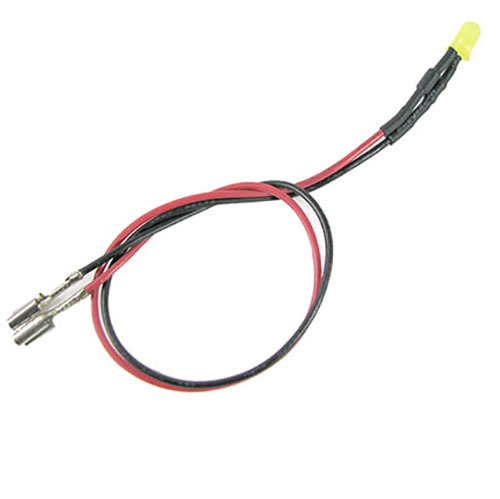 This panel-mount indicator light has a 5mm red LED in a 5/16” dia x 3/4” deep mount with 47” leads and a 2-pin 5.5mm Molex connector on the other end. Includes wings on the mount to hold it in place. 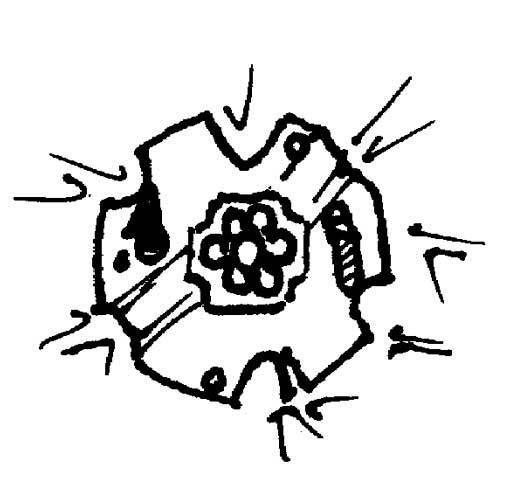 You'll need 20mA at 3VDC for power. 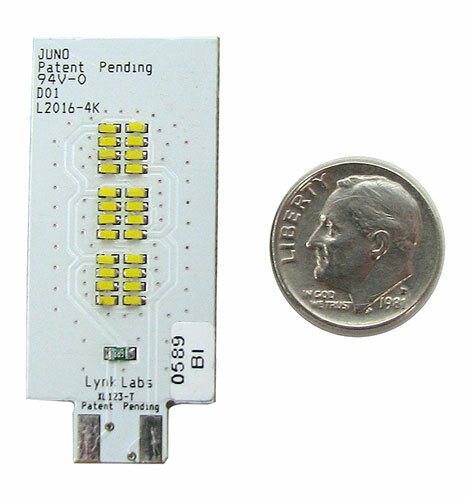 This tiny 3 mm LED sits in a 5/32" x 1/4" x 7/32" black-plastic box with PC board mounts. At 2-3 volts it glows green and draws 40 mA. 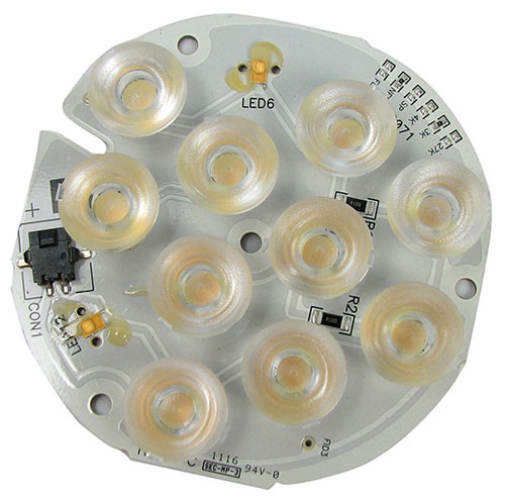 These LEDs are wired with an in-line diode on one leg so you can run them with either AC or DC. 24 volts works best (do not run them on 120V!) drawing 4mA. 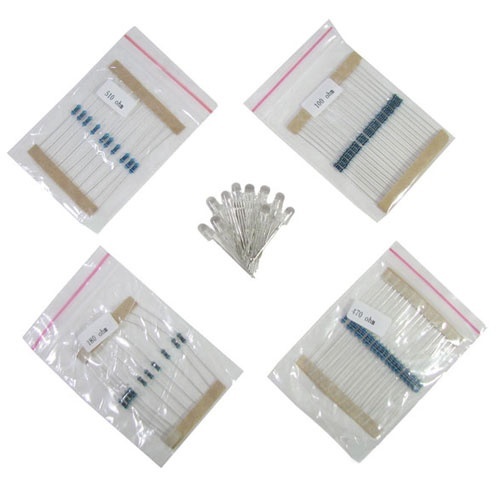 You'll get leads between 4" and 9" with quick-disconnect terminals. You pick yellow or red.